The new Valletta Card is a 24-hour card, which offers travel options to and from the City by bus or by ferry, travel within the city by bus and access to tourist attractions in Valletta. While Valletta is being celebrated as the European Capital of Culture 2018, Malta Public Transport, in collaboration with Valletta Ferry Services, Heritage Malta and Malta 5D, is proud to launch its latest product: the Valletta Card. The new Valletta Card is a 24-hour card, which offers travel options to and from the City by bus or by ferry, travel within the city by bus and access to tourist attractions in Valletta. The new Valletta card includes travel to and from Valletta from any location in Malta using the public transport buses; travel to and from Valletta by ferry from Sliema and Cospicua using Valletta Ferry Services; travel within Valletta using Route 133 – the circular route; and entrance to three of any of the following attractions: The Palace State Rooms, The Palace Armoury, The National Museum of Archaeology and Malta 5D. The museums are operated by Heritage Malta. The Valletta Card is endorsed by the Valletta 2018 Foundation and the organization’s Chairman Jason Micallef pointed out how “Valletta 2018 Foundation is pleased to collaborate with Malta Public Transport on this new product which gives easy access to a number of cultural sites in Valletta. This card also serves as a souvenir of the European Capital of Culture year”. 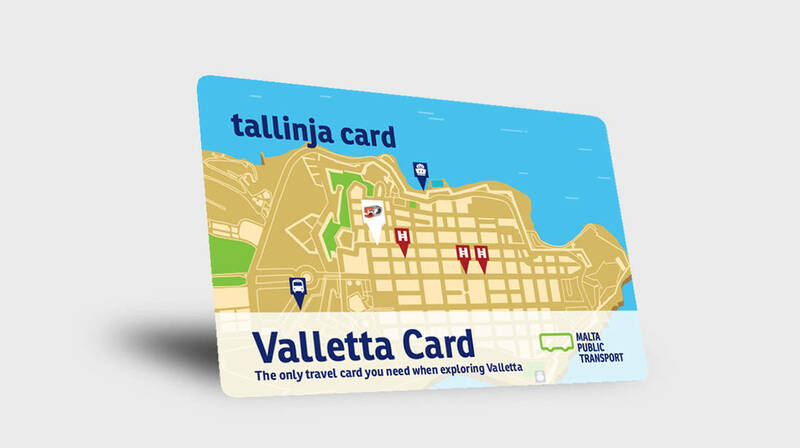 The Valletta Card may be purchased for €19 from any one of Malta Public Transport’s sales offices in Valletta, Malta International Airport, Bugibba, Sliema, and Rabat, Gozo for immediate use on the bus. For more information visit publictransport.com.mt.